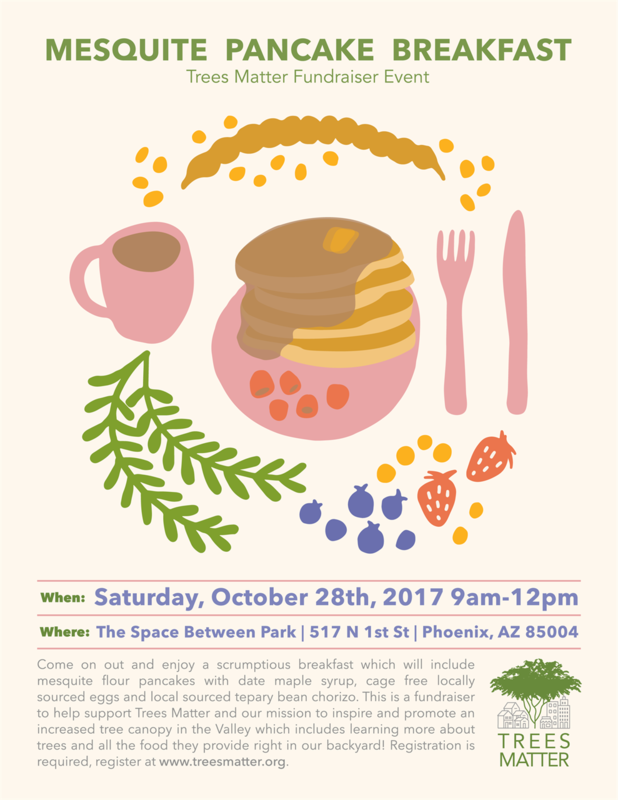 Join us and taste the delicious flavor of mesquite at Trees Matter's 2017 Mesquite Pancake Breakfast! 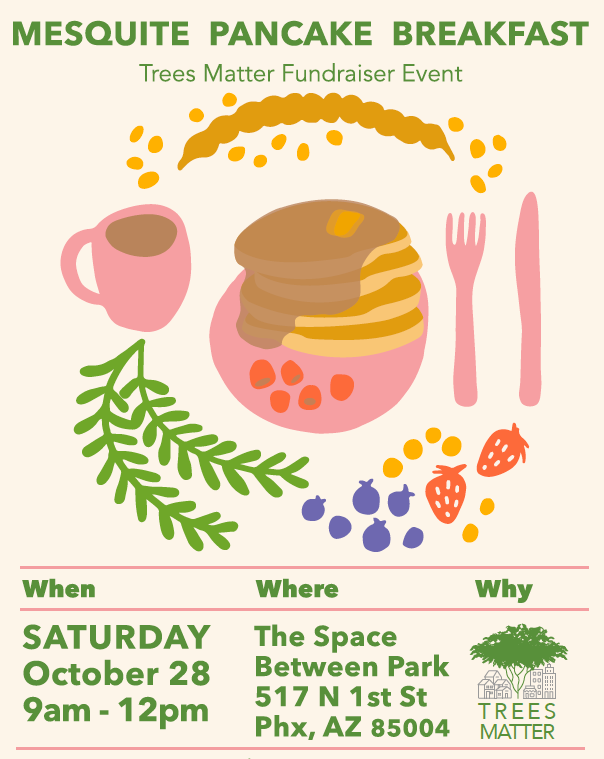 Come support Trees Matter and enjoy a scrumptious breakfast which will include mesquite flour pancakes with date maple syrup, cage free locally sourced eggs and local sourced tepary bean chorizo. Coffee and orange juice "Devilade" sourced from ASU campus will be served. This event is a fundraiser to help support Trees Matter. Our suggested donations are 25 dollars for individuals and 60 dollars for families. We are happy to work with anyone on pricing. We strive to inspire and promote an increased tree canopy in the Valley which includes learning more about trees and all the food they provide right in our backyard! If you are interested in volunteering at the Mesquite Pancake Breakfast, sign up directly by clicking HERE.